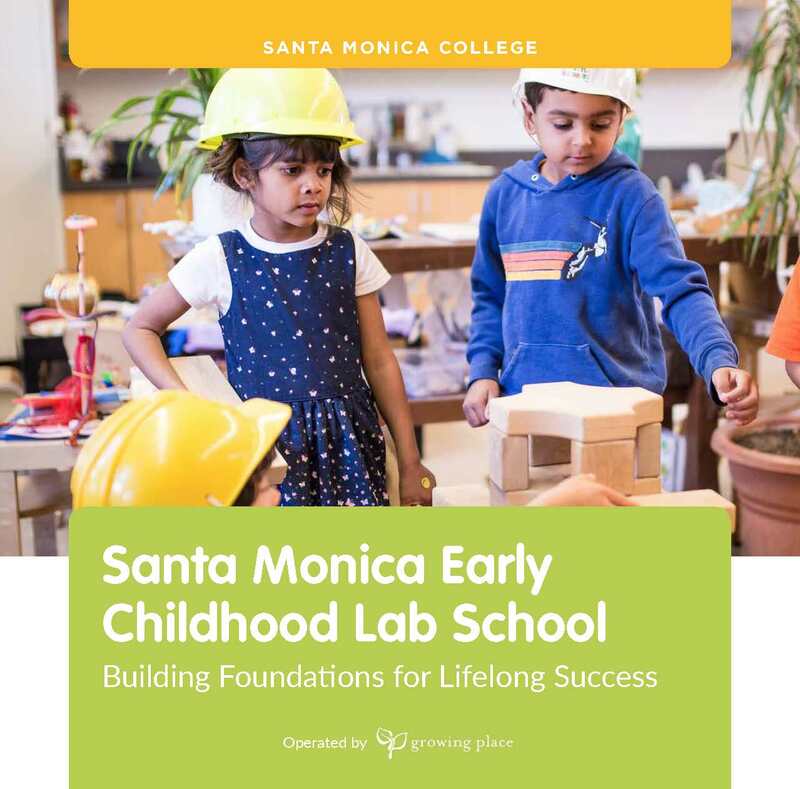 Santa Monica College and the City of Santa Monica, in a unique partnership, are building an innovative early childhood laboratory school to serve the community while enabling teachers-in-training to develop crucial expertise under the guidance of leading education professionals. The Lab School will be operated by the Growing Place, a nonprofit child development center dedicated to providing the children of working families with an exceptional early education in the critical early years of life. With this collaboration, the Lab School will benefit future generations with inspiring leading-edge approaches, a diverse setting and family focus. To be located at the corner of 4th Street and Civic Center Drive in Santa Monica, the Lab School is scheduled to open in 2020. It will serve up to 110 children annually in support of the City’s Learn + Thrive strategic goal to ensure all Santa Monica children are ready for kindergarten. The school will help fulfill the city’s vision of ensuring quality early education for area residents and employees with at least 30 percent of participating families being residents, 15 percent of low-income status plus slots for the Civic Center and Downtown workforce. The Lab School also actively supports Santa Monica’s Cradle to Career initiative, an inter-agency partnership including the City, SMC, the Santa Monica-Malibu Unified School District and more, which strategically invests in projects that help everyone in the community Learn + Thrive. In building the RAND campus, a development fund was created that the City will use to launch tuition subsidies for low-income families. Research shows the high value of quality early education programs for all children. The innovative Santa Monica Early Childhood Lab School will help meet this vital need while also addressing the area’s gaps in early education services, especially for infants and toddlers. The Lab School’s early learning program—enriched by its collaboration with the world-class SMC Teacher Academy - will enable parents to gain more work experience and thus achieve higher earnings. Two generations benefit at once: Children get a stronger foundation for educational success, and parents can advance their careers to take even better care of their families. And when families prosper, so does Santa Monica. Take a look at photos and video from the Groundbreaking Ceremony! To be a preeminent community college foundation reflecting the value and economy of our creative community and greater Los Angeles, California. Copyright 2019 Santa Monica College Foundation.